The American Board of Physician Specialties (ABPS) offers the Family Practice examination for certification purposes. Candidates must fulfill the eligibility requirements before taking this test. 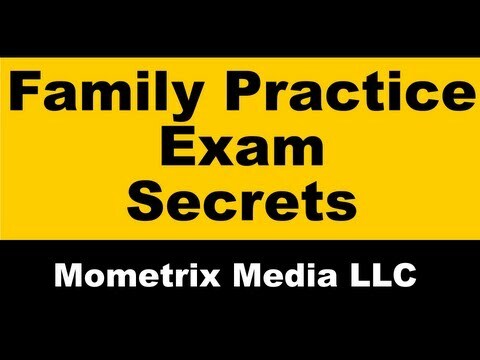 This familty practice test is single-level, which means there is only one test to complete. It may be either computer-based or taken with a pencil and paper. Once a candidate turns in the application, he or she has three years to take the test, and can only take the test three times during that period. If the candidate does not pass any of the three attempts, he or she will need to start over with a new application. Extenuating circumstances may be considered, as long as the candidate has documentation of the problem. Candidates will receive the results by no later than 75 days after taking the test. Candidates only receive a pass or fail outcome (no actual number will be given). The content of the test is broken down as follows, with the number of questions for each domain in parentheses after each: Allergies/immunology (7); alternative medicine (1); cardiovascular diseases (10); dermatology (9); domestic violence (4); endocrinology (6); epidemiology (2); gastroenterology (8); general surgery (4); geriatrics (9); hematology/oncology (5); infectious diseases (8); medical and surgical emergencies (5); neurology (6); nutrition (6); obstetrics/gynecology (6); occupational medicine (4); ophthalmology (4); orthopedics (7); otorhinolaryngology (8); pathology – tissue and laboratory values (5); pediatrics (9); preventive medicine (8); psychiatry (8); public health (3); radiology (5); renal diseases (5); respiratory diseases (8); rheumatology (6); signs and symptoms of diseases (10); sports medicine (6); urology (6); and ethics (2). A 46-year-old Caucasian woman with a family history of basal cell carcinoma but no melanomas presents to a clinic with concerns regarding skin cancer. She has numerous nevi, freckles, and some atypical looking nevi. On examination, the physician notes 2 asymmetric nevi with irregular borders. What is the best way to counsel her? Tell her that recent studies show that due to her family history, she has an 80% lifetime risk of developing malignant melanoma. Counsel her that she has no need to see a dermatologist for a risk assessment. Be watchful for nevi with malignant features and counsel her regarding self-examination. Tell her the best approach to the biopsy of the suspicious nevi is a shave biopsy. During a routine well examination, a 62-year-old man is found to have Hgb of 11.5 g/dL. He admits to a poor diet. Further laboratory work reveals hypersegmented neutrophils, MCV of 120 fL, total serum iron of 155, vitamin B12 of 176 pg/mL, RBC folate of 130 pg/L, and a reticulocyte count of 1.1%. A 55 year-old-woman, who was previously diagnosed with irritable bowel syndrome (IBS) at another office, presents with complaints of dyspepsia, diarrhea, bloating, and weight loss. She has been following a high-fiber diet, including many whole-grain breads, and avoiding dairy and other fatty foods. She is frustrated as her symptoms have not improved and seem to be getting worse. Due to the patient’s history, the physician should suspect which of the following? The physician orders an electrocardiograph (ECG) of a 44-year-old patient with hypertension. The ECG shows left ventricular hypertrophy (LVH). Which of these findings should the physician expect to see in this ECG? A previously healthy 66-year-old patient presents with a 5-day history of a productive cough, temperature of 101.8 °F, BP of 110/75, pulse of 95 beats/min, and a respiratory rate of 21/min. On examination, the physician finds the patient to be alert and oriented with rales in the right lower lobe. Laboratory tests indicate an elevated white count and BUN of 18. A chest x-ray confirms right lower lobe pneumonia. Which of the following is true? According to CURB-65, this patient has a score of 3 and will respond best to IV antibiotics and must be hospitalized. The gold standard to diagnose pneumonia is the detection of rales or crackles on examination. According to CURB-65, this patient has a score of 1 and may be treated as an outpatient for community acquired pneumonia. Community-acquired pneumonia should only be treated with combination antibiotic therapy. C: To date no study has documented a way to predict that this patient has an 80% lifetime risk of having melanoma. Risk factors for developing malignant melanoma include changing moles, having dysplastic nevi with a family history of melanoma, having more than 50 nevi (bigger than 2 mm), and having one or more family members with malignant melanoma. Minor risk factors include freckling, sun sensitivity, and a history of severe, blistering sunburns. In the United States the risk for developing malignant melanoma is ~0.6% or 1 in 150. The lifetime risk does increase in familial atypical mole and melanoma syndrome (FAMM). Criteria for FAMM include malignant melanoma in at least one 1st- or 2nd-degree relative, more than 50 nevi (some being atypical), and certain histological changes. This patient does not appear to have FAMM, but does have some risk factors for skin cancer. Due to her risk factors she would benefit from a dermatology consultation. The best way to counsel this patient would be to educate her regarding recognizing the ABC’s melanoma as well as being observant. Also, suspicious nevi should have an excisional or punch biopsy. D: This patient presents with a macrocytic anemia (nl MCV=80-100 fL and nl male Hgb=13.5-17.5 g/dL). Iron deficiency anemia and anemia of chronic disease are both microcytic anemias. Since the levels of vitamin B12, iron, and reticulocyte count are normal (nl B12=150-900 pg/mL and nl iron=50-170 µg/dL, and nl retic=0.5-1.5%) and folate levels are low (less than 150 pg/L), he must have a folic acid deficiency. D: The symptoms of IBS and celiac sprue or celiac disease often overlap. These symptoms include diarrhea, flatulence, and abdominal discomfort. The key to this patient was her history of increased ingestion of whole-grain breads, which led to an increase in her symptoms. Ulcerative colitis is marked by bloody diarrhea. IBS is a diagnosis of exclusion and the history did not indicate an acute viral illness. A: Answer A corresponds to changes seen in LVH while answer B corresponds to changes seen in right ventricular hypertrophy. Leads I, aVL, and V4-6 are left-sided leads while leads III, aVR, and V1-3 are right-sided leads. In LVH the ventricular wall is thickened, which results in an increased R wave in the left-sided leads and a deeper S wave in the right-sided leads. Inverted T waves in V5 and V6 show the strain on the left ventricle. C: Pneumonia is the 6th leading cause of death in the United States. Diagnosis is based on a positive chest x-ray, tachypnea, crackles or rales, fever, and cough. Crackles and rales are only heard in 75-80% of patients with pneumonia and should not be the sole criterion for diagnosis. CURB-65 is a pneumonia severity score based on a 5-point system and can aid the physician in determining inpatient verses outpatient treatment as well as mortality. Scores of 0-1 indicate a low risk and may be treated on an outpatient basis and scores of 2-5 indicate increasing severity and should be admitted to the hospital for treatment. Each of the following is worth 1 point: confusion, BUN greater than 19 mg/dL, RR greater than 30/min, systolic BP less than 90 or diastolic less than 60 mmHg, and age greater than 65 years. With these criteria, the above patient had a score of 1 and C is true. Pneumonia may be treated with either monotherapy or combination therapy and is aimed at treating the pathogen. 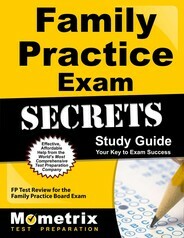 Ace the Family Practice test using our Family Practice exam study guide with practice questions. 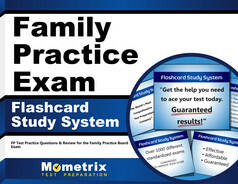 Quickly Solve Difficult Family Practice Test Questions with the Family Practice Flashcard Study System.